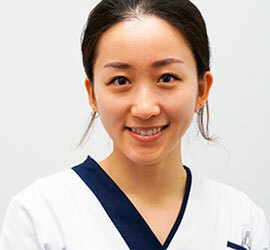 Yuri Lee is a registered clinical dental technician who specialises in making dentures to replace missing teeth. After graduating from the University of Otago in Dunedin, she has worked in a variety of laboratories and dental/denture clinics in Melbourne and Auckland. Yuri has a great work ethic, friendly manner and is very precise with her work. She loves her career as a denture clinician and believes that her work will help restore what people have lost and enhance their quality of life. Yuri enjoys spending time with friends and family in her free time, as well as outdoor activities such as hiking, snowboarding, and paddle boarding. She loves the people around her and she believes that love is the most valuable thing in life.